The American-born French artist William Klein (1928) is a multifaceted photographer and filmmaker, known for an unconventional style of abstract photography and in the same media a revolutionary approach to fashion. This text, however, focuses on his series of photo books portraying the cities New York, Rome, and Moscow. This research had its starting point in Klein’s posters for the magazine Domus; As elaborated later in the text, Klein experimented to a great extend with a sort of “trashy”, or maybe just honest, way of expressing “city life”. 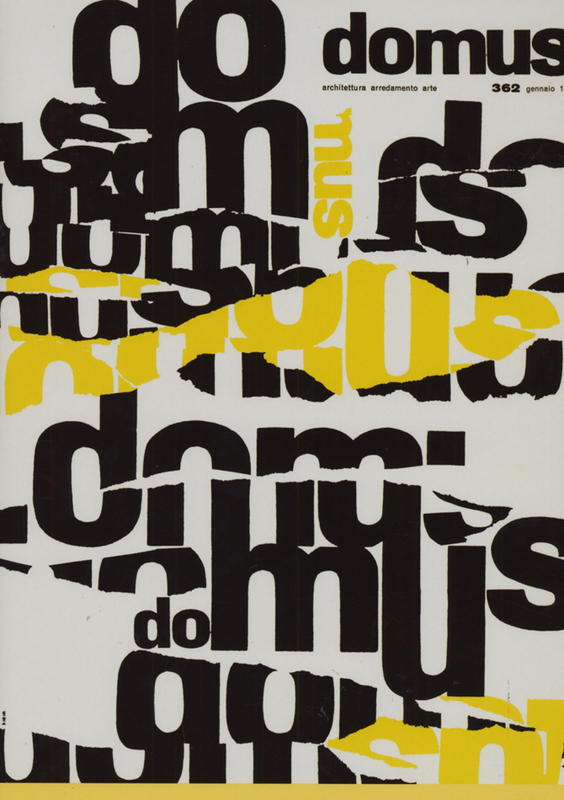 Domus began to publish Klein’s experimental graphics/photography as front covers for the magazine in 1952. 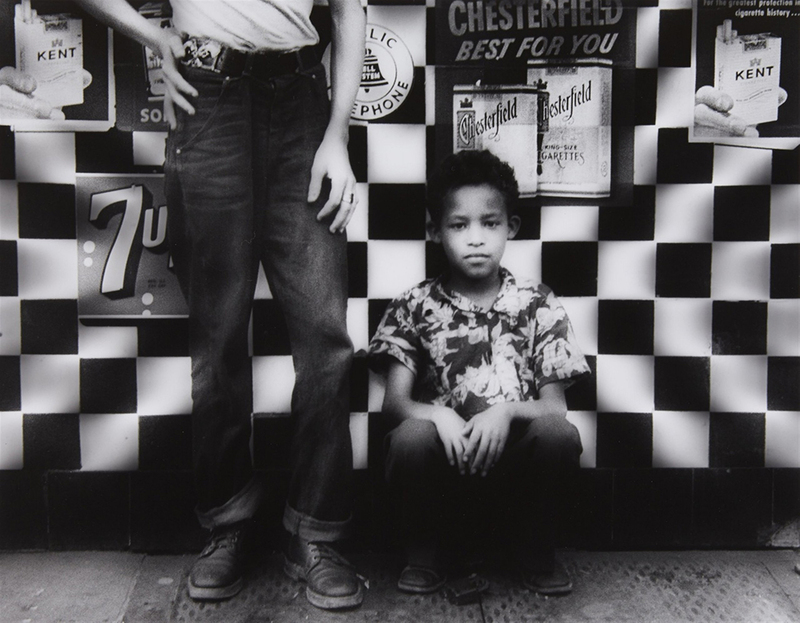 Among the covers were a very rough way of handling photography and typography to be seen: William Klein would torn his own work apart and put the ripped parts back together in an uncouth order. 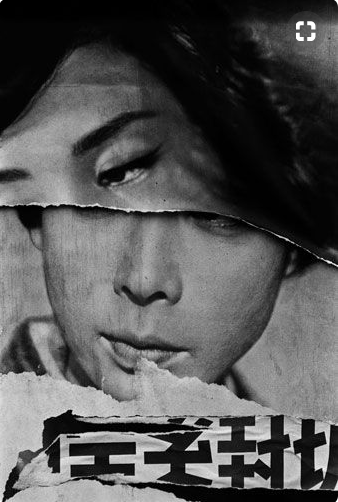 As a visual language this lack of perfection and polished finish seems to find its inspiration in the actual torn posters one sees on walls in the streets of big cities. Having this style of “torn” magazine covers in mind, this research dives deeper into Klein’s visual language [x] describing the life of a city. 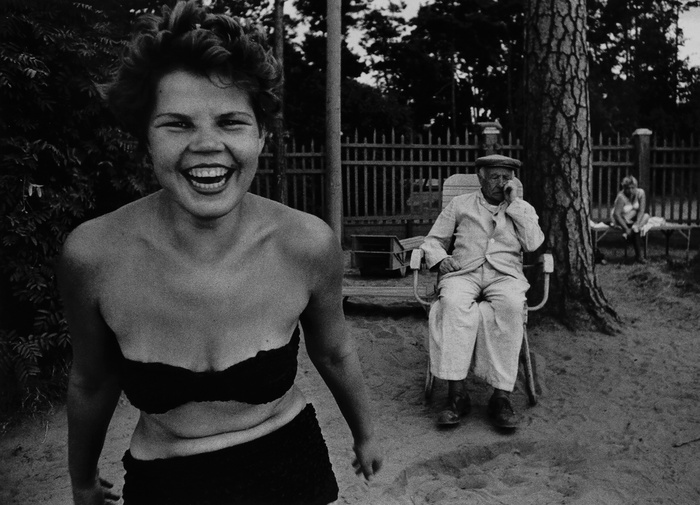 Klein studied painting and never received formal training in photography. One can argue that this “lack of technical education” made his experimental approach to the media possible. He would have to find his own way. 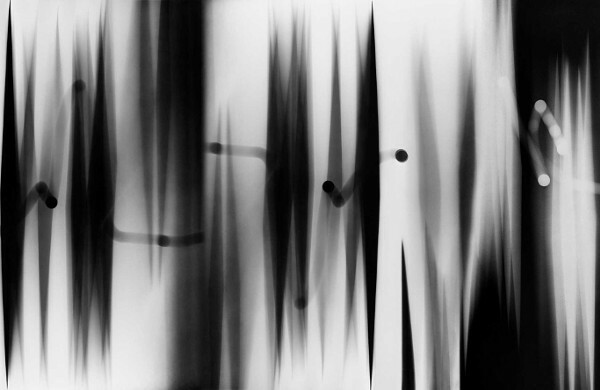 This experimental and playful way of working with a medium is also present in Klein’s graphic work, as for instance seen in various posters, where Klein mixes photography, painting, collage, and typography. 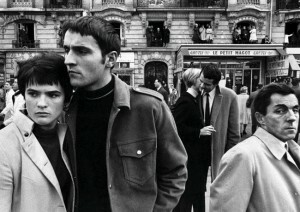 His lack of academic photography training also showed itself as a virtue in his genre-defining photo books portraying cities that Klein visited. The first one, “New York” started as a photographic diary. 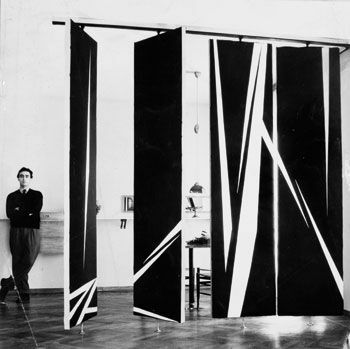 When Klein came back to his hometown after six years of studying in Paris, he found momentum in this medium, that he had never really used before, and executed the extensive series in just 3 months. It was also a reflection of him returning to the streets he walked growing up and seeing new representations of people and situations he experienced there. 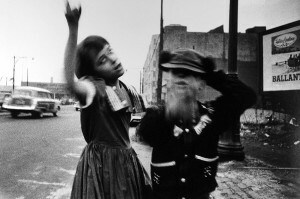 The blurry, close up, in the actual photographs where not popular at the publishing houses but eventually broke through and had a huge influence on what we know as street photography. 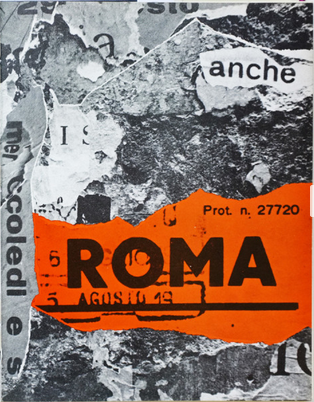 The next book, “Rome”, was made shortly after Klein moved there to be an assistant to Fellini. 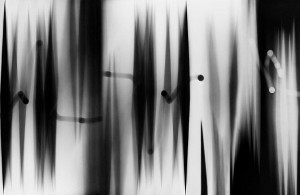 Having two very separate relationships to the two cities must have affected the way Klein approached the photographic investigation. With this background in mind, you can distinguish some differences in these portraits. 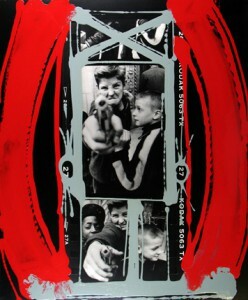 “New York” contains more pictures of children, a way for him as the protagonist to relate back to his past experiences in the space. 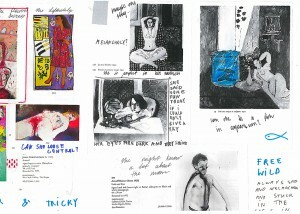 He even says in an interview that he sees many “self-portraits” in the series. While “Rome” has similar stylistic features, you can glimpse more of an outside view, even in the way people look back at the camera. One strong characteristic that separated William Klein from the start and became one of his signatures, was the use of motion and blur causing blur. This expression was developed in Paris when he was trying to document a mural he had painted. The wall consisted of a row of rotating panels, that when captured on an image created geometrical shapes with obscure lines. This discovery would be very crucial to several of the branching that his practice took, but would not be well received initially by traditionalists. 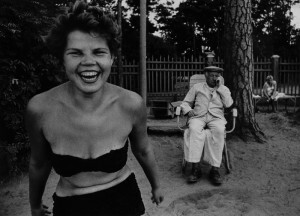 When Klein originally tried to publish ”New York” it was perceived as being ”too ugly, too seedy, too one-sided”. The publishers were used to, and wanted to, see the city portrayed in a romantic light. The high class, the architecture, the richness. Klein’s approach was instead semi-aggressive, unpretentious, focused on the people, and had no interest in being a promotional tool. This, for the time, controversial viewpoint would, however, be very welcome when he made the ”Moscow” book, the third in the series. 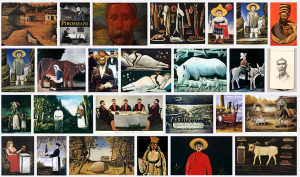 The western/American picture of Russia was (and still is, but maybe even more extreme back then) extremely alienating and one-sided. His book depicts a lively and multifaceted Moscow and is considered to be the book in the city series where he comes closest to the subjects. 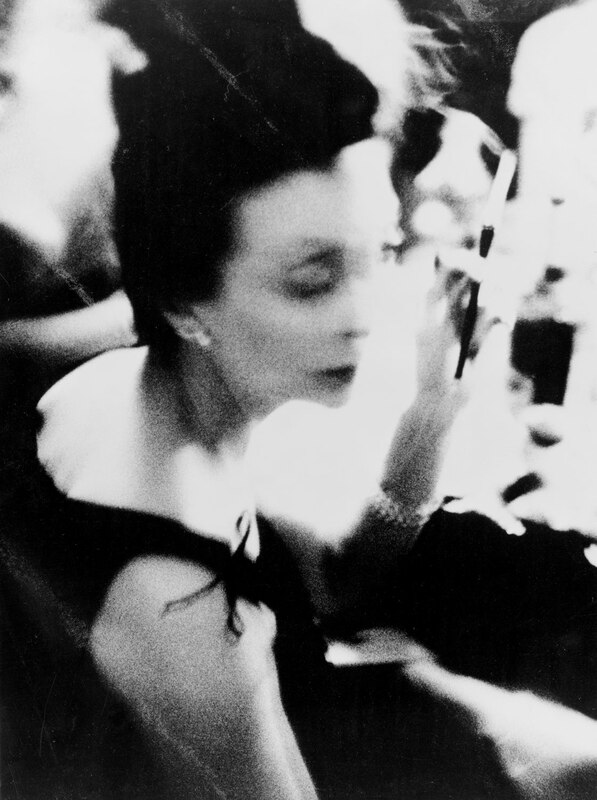 Sarah Boxer wrote a review in 2001 in New York Times [x] of two of his shows, where she brings up the notion that the authenticity in Klein’s pictures might be partially staged. Specifically, she talked about an exhibition where his contact sheets are being magnified and displayed. The contact sheets had notes in the shape of circles, arrows, and crosses, singling out the pictures that Klein had chosen to use when he originally developed the film. What made her questioning was the decoratively ”perfect” manner in which the lines were made. A lot can be said about this. Klein was originally a painter, so that could be an explanation for the way the motions of his hand could come of as decorative by default. Anyhow, it is interesting because much of his legacy, and the tradition of street photography in general, is built on the purity and honesty of the content. Though some of his works are known to be staged, it still has proved itself to be able to catch an essence in a community in a superior way. A general problem in culture is the inevitable tendency for rebellion to become stagnant. As a direct consequence of success and the finding of a language that comes with age, groundbreaking eventually becomes mannerisms. Klein has been lucky to keep a youthfulness about his work, often by sporadically changing lanes and looking for limits to cross in another niche. This quality has made him a prominent figure in a variety of photographic disciplines and testifies the importance of diversity that the market often overlooks. 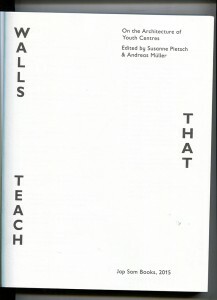 The blue colour of the spine was the first thing that attracted me to the book ‘Walls That Teach’. I reached up to grab the book and upon closer inspection I discovered a beautiful cover with an interesting layout of text and attractive illustrations. 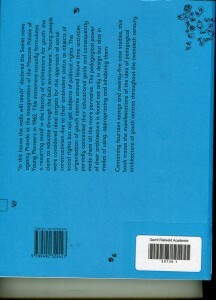 The layout of text on the back of the cover for example runs horizontally, forcing you to turn the book to the side to read the text – something that reoccurs occasionally within the book. 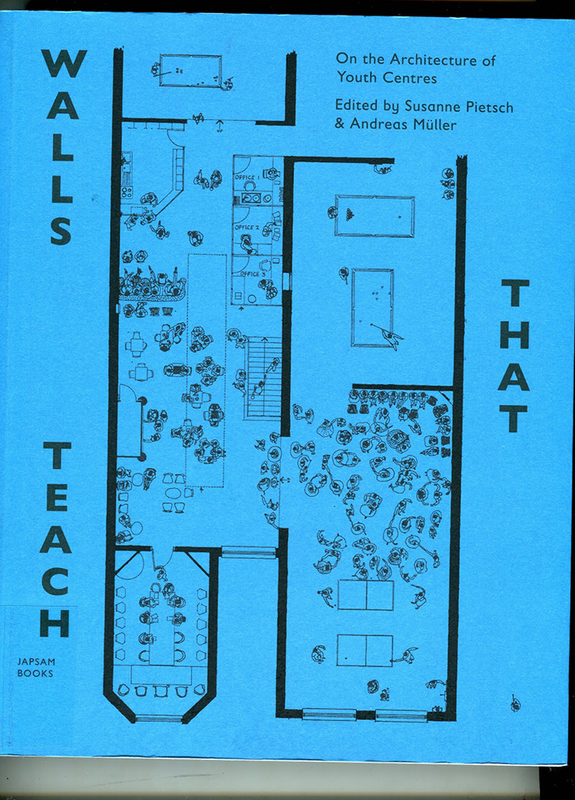 Despite the title of the book and the topic – architecture of youth centres – being an unknown topic to me, the design of the cover intrigued me enough to give the book a chance and look within it. I opened the book and ran my fingers through the pages to feel the paper. The book felt light and the paper felt thin. The colours of the paper were the next thing that I noticed – they vary between green, white, and black paper. The main texts appear on the green and black paper. 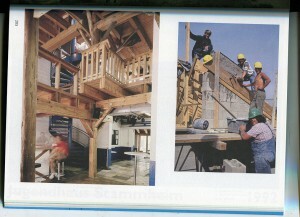 The illustrations and images appear on the white paper. The white pages are laid out horizontally requiring the reader to turn the book to its side in order to look at it. The way the font (Gil Sans, Gill Sans Infant) is used and the strokes of the letters, the layout of the paragraphs, the letter spacing, word spacing and line spacing give a feeling of space on the pages without giving the impression that the page feels empty. The letters, words and lines are spaced quite far apart. 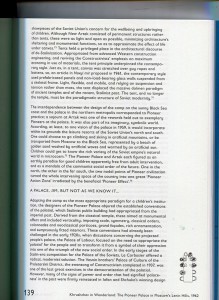 The Paragraphs are centred on the middle of the pages, leaving a space of about an inch on either side. The strokes of the letters are also light (there are specks of white on the text that is black). All of these factors contribute to the appearance of the pages not looking cluttered. The illustrations throughout the book are very imaginative. The first illustration is on the front cover. 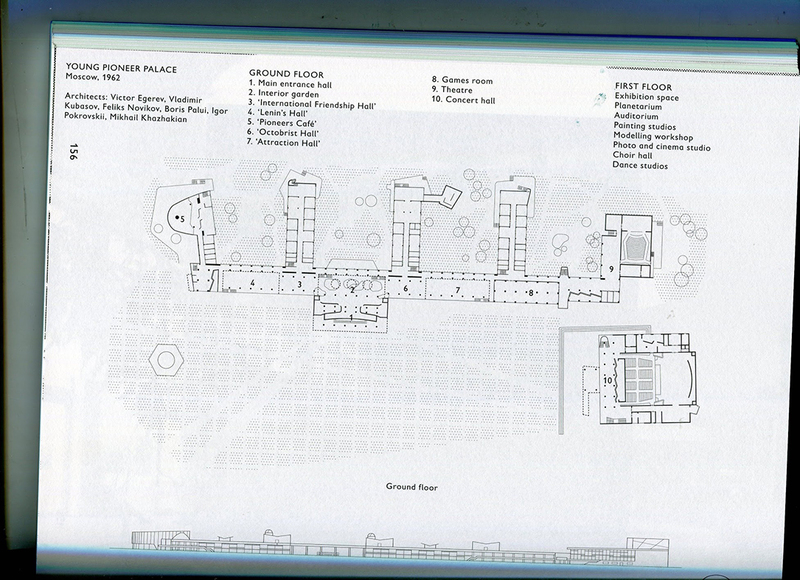 it is an architectural drawing of a youth centre with illustrations of people demonstrating how the space would be used – people are dancing in a disco, some people are playing table tennis, some people are sitting around and some people are working. However, these illustrations change inside the book. 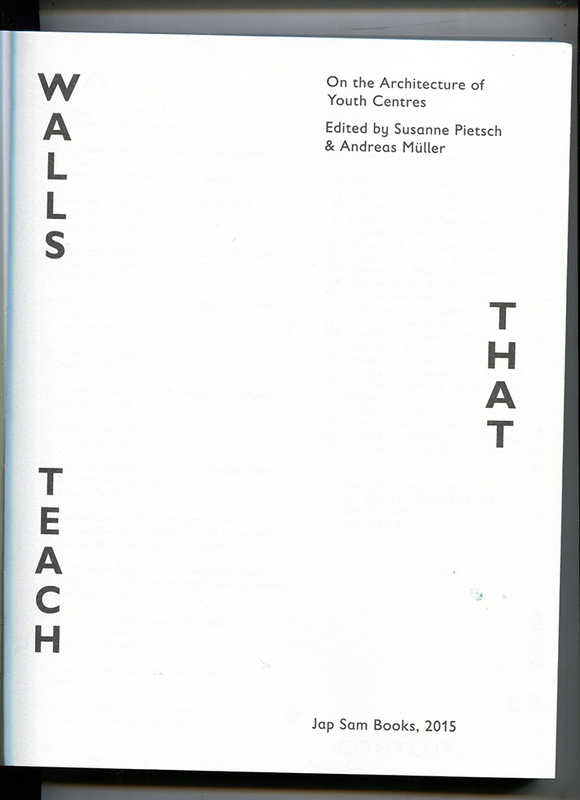 The people depicted in the illustration on the front cover are no longer contained within the walls of the ‘youth centre’, but are left to roam freely over the pages. Sometimes at the bottom of the page you will find a couple walking hand in hand. On another page there are people playing table tennis. On another page beside a paragraph about the planning of a youth centre there are a group of people meeting around a table discussing something. The contrast between these illustrations and the more practical architectural drawings within the book is really amusing. For someone like myself who doesn’t know much about the topic of architecture, small details such as the people wandering through the pages really capture my attention and encourage me to read. The different photographs of the youth centres under construction, how they were used and exterior shots of the buildings punctuated throughout the book also adds another dimension. The combination of how the text is put together, the illustrations, drawings and photographs really brings the book to life for me. My first impression of the book was that it appeared to be playfully made. 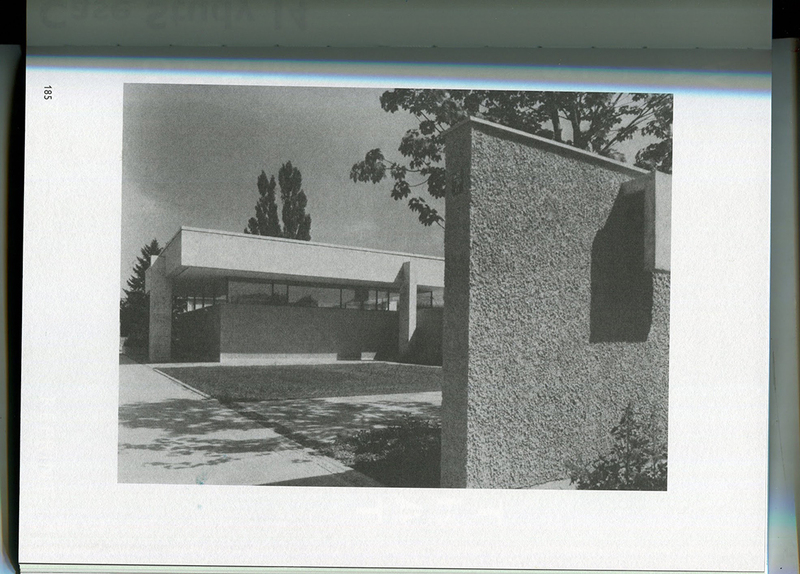 This struck me as being funny because the topic of the book is about youth centre architecture, but the topic of the book suggested that it could be heavy to read. Upon opening the book and reading it, I was pleasantly surprised to find that the playfulness of the cover continued throughout. All the different elements brought together really encouraged me to read. I think that the intention of the design element of the book is to inspire the audience to interact with the book and create discussion. All in all a very well designed book. 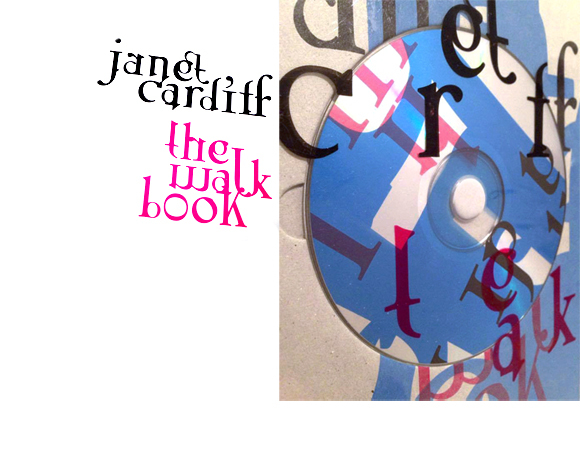 As soon as I opened Janet Cardiff’s The Walk Book in the Rietveld library, I knew I had found the book I was going to make my research on. There was not a single page that didn’t awake my curiosity on how the design had evolved. 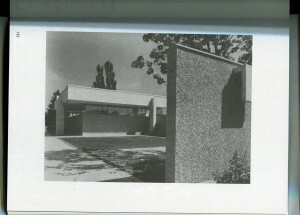 The reason for this was the very dynamic and multidisciplinary design. 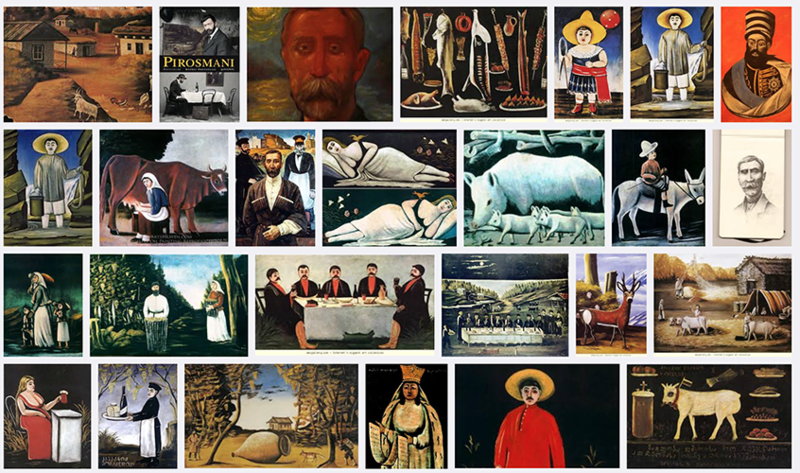 Distinctive colors, shapes and placement of the content creates a chaotic and playful impression. Although you suspect the organized work behind it. Those responsible for this are the two designers, Thees Dohrn and Philipp von Rohden who shared the design agency Zitromat in Berlin. The later of which I had a chance to interview on a few points. I will share this with you as the text develops. Let’s begin where the journey of the actual The Walk Book begins. 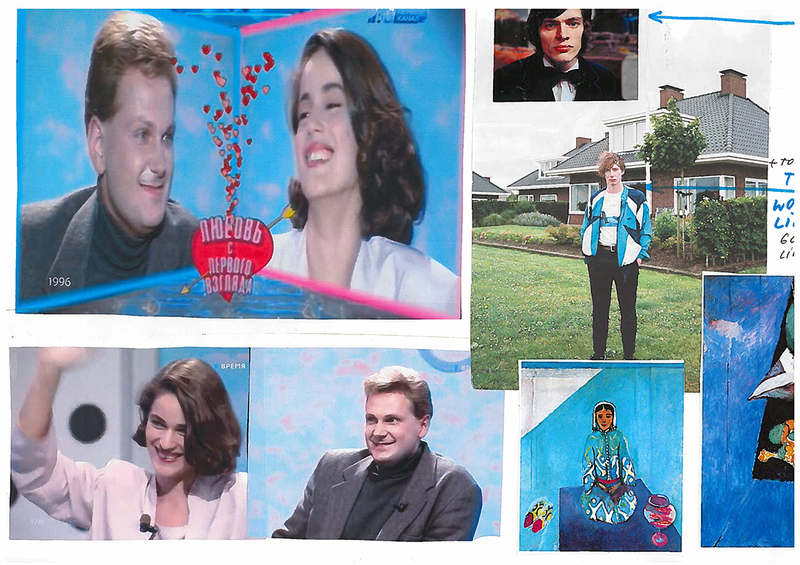 It was initiated by a proposal from the art collector Francesca von Habsburg to the artist in the early 2000’s. The hopes of von Habsburg were to enlighten many others to “the magical world behind Janet Cardiff, her creative talent, and vivid imagination”. She also says “Hopefully, it will reveal how she works in a playful, yet extremely serious manner (…)”. For those who aren’t yet acquainted with Cardiff, let me give you a short introduction. 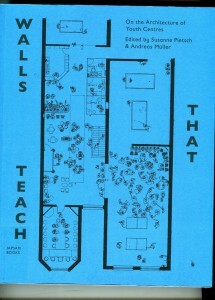 As this book investigates, she has created several video and audio walks. 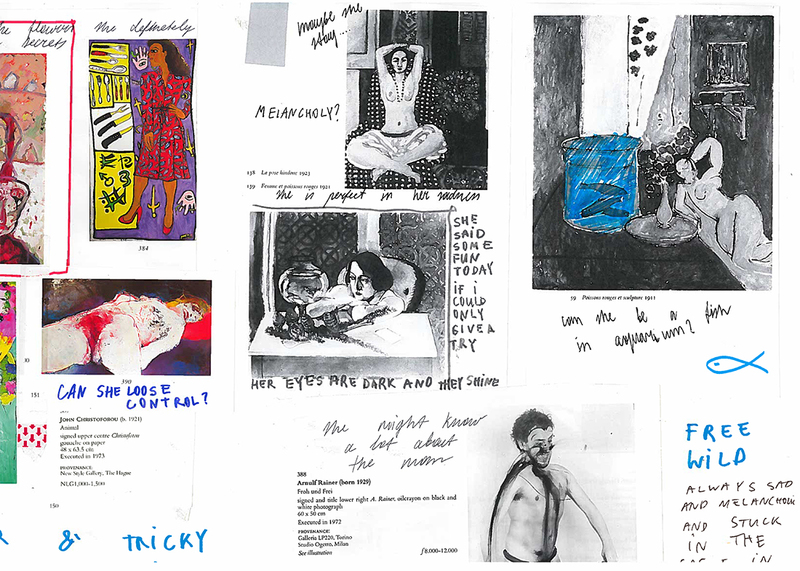 These are extraordinary works that allows the participant to experience a dualistic moment through the act of walking and continuously listening to her narrative. The act of walking unfolds the space along with the process of narration which creates both a corporeal and a visceral form of knowledge, as two intertwined levels of consciousness. In my interview with Philipp von Rohden he shares with me that from the start the plan was only to make something like a small catalogue on approximately 120 pages for one of the “walks”, but as the actual result now shows it turned into a 345 page book. 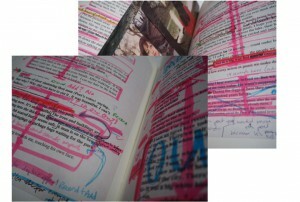 One of the additions to the production was the artist’s own suggestion to turn the book into a walk itself. This is the reason for the cd on the cover. This inventive design allows even the front of the book to be dynamic, as another aspect of this multi-layered book. But it is not merely a cd that adds to the aesthetics of the book, the track-list introduces me, as the reader/walker to the book in a frisky way. It invites to a vivid insight into Cardiff’s work and welcomes you to approach the book in a non-linear fashion. The audio walk in itself makes the already expressive impression of the pages become even more alive. The book actually expands even outside the pages when brought along on a walk and your “real world” impressions become combined with the audio and the content of the book. Pictures appear almost animated and the content is even more appealing when you’re encouraged to dive into parts of the the material along with Cardiff herself. I start to detect the hidden codes for the different design layers. For example I notice differences in size and color of the text according to the different sounds or voices I hear. This brings me back to my research. Perhaps it has already started to make more sense now that I’ve shared a little more on the actual subject of the book, and how she expresses herself. Fact is, that when I ask what is the organizational guideline behind this very expressive design I’m told that they based their inspiration on Cardiff’s own working process. She works by collecting fragments and combining them to art pieces. Sounds, pictures, words. And this notion of collecting fragments is what initiated the design. 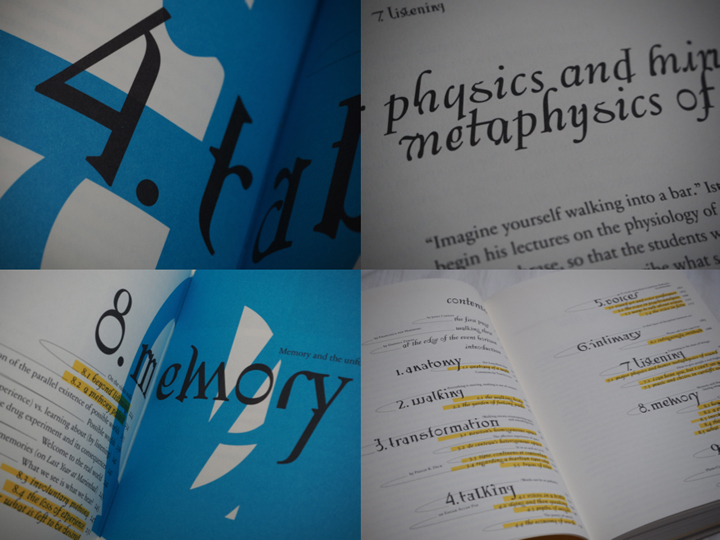 A clear example is the special typeface used on the cover and also on titles inside the book. These characters were set up especially for this book and were created by finding typography elements and then combining them. Collecting fragments. Another design element inspired by the work process of the subject herself are the yellow highlighted words continuously occurring in the text, smaller sized sentences in between the lines in the middle of a text and the little arrows leading the reader away from the columns to imbibe some extra information that could be useful for understanding the text. These features are not just there by chance, they are inspired by Cardiff’s own notes, which are actually embedded in the book as well in their full pride on pages 54-61 for example. 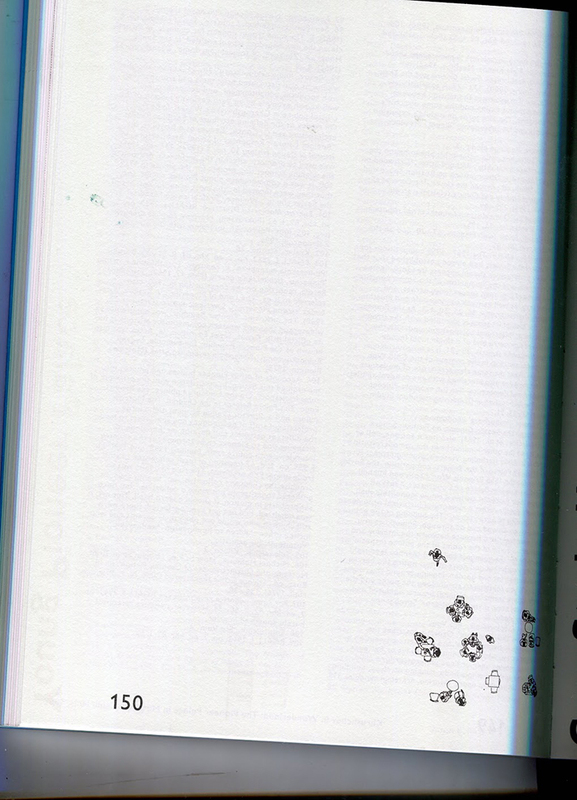 The result were these playful pages that by constant interruption prevent a traditional reading experience. 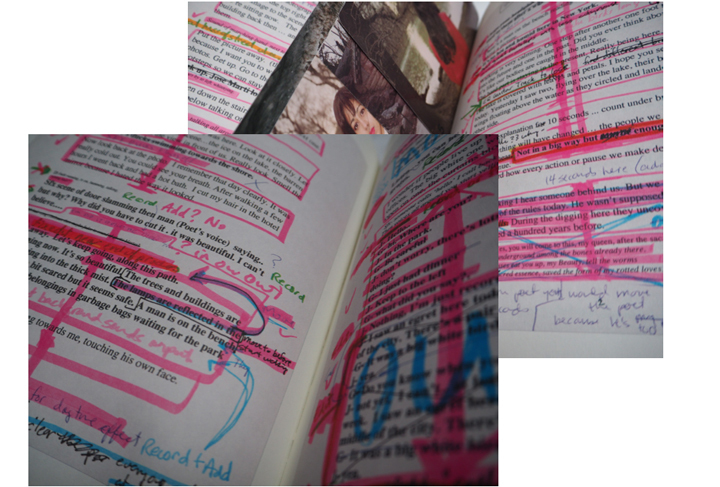 Von Rohden comments on the way Cardiff highlights certain pieces of her notes, crosses out and adds words to the texts in between the lines, “is it just a comment? Is it important or not?” he asks rhetorically. This process is clearly applied to the design of the book and I think it’s fun to be invited to see the connection. 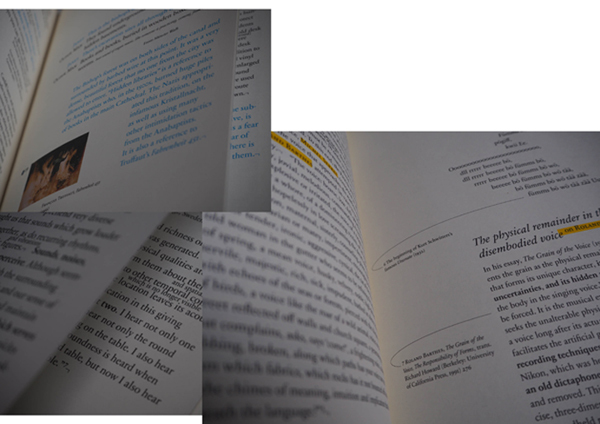 Further, I’m informed that they had 6 content layers when designing the book. 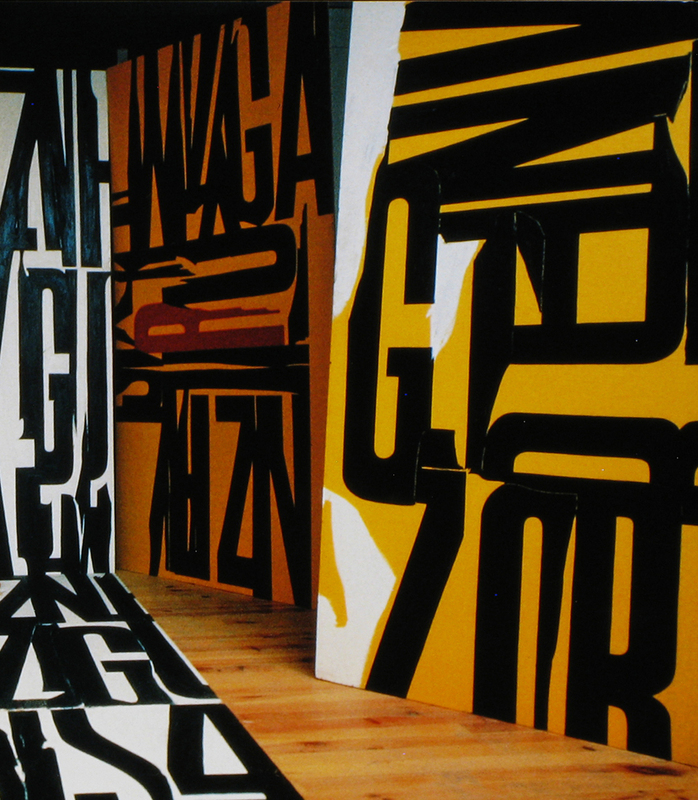 than the author Miriam Schaub’s texts that are black and seem regular sized in comparison. 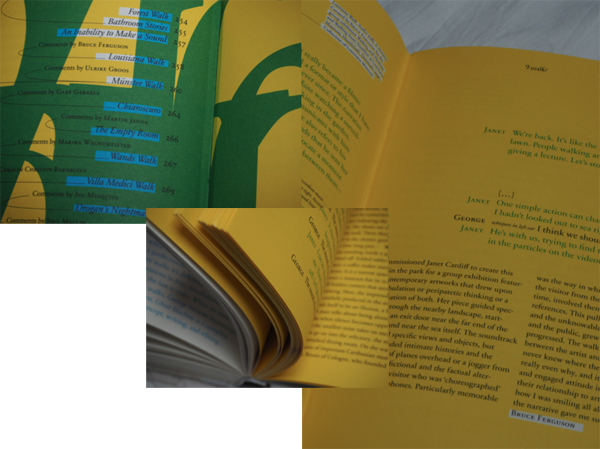 Another layer example are the pages in the back of the book that contains writings from exterior curators and are drained in a yellow color to divide them from the rest of the content. Other genuine elements in this book that the artist herself is particularly happy about are the fold out pages to show the actual audio editing. Among other things, she also mentions the photos that are simply thrown into the book, detached so that you easily can hold them up in front of you when you experience the walk that’s included. I agree with her that these relatively rare book design elements definitely contribute to the exciting impression of this book. The project went on for ca 2 years and the design process was short and difficult, described as a nightmare by von Rohden. But that doesn’t change the fact that he feels it was an honor to be a part of a project like this, and that it is rewarding to see that the book still seems to have some relevance after more than a decade. I’m happy I got acquainted with this book, the artist and the design methods. Brought upon much inspiration for the future. Thank you to Philipp von Rohden and Janet Cardiff for sharing your thoughts and knowledge about this book. switching from one tv program to another, my forefinger suddenly stops. it does not press the “+” button of the old remote control anymore (i already forgot how to use this device in the 21st century) an unknown woman on the screen catches my attention. she has wavy, dark hair, a symmetrical face with a sharp nose, beautiful lips. the tv-host asks her questions about her preferences in men (it is a dating program for adults) she carefully listens to the questions and time-to-time gazes into the screen figuring out the answer. her gaze magnifies me. she lives in 1996 and her name is natella. her girlfriends trust in her and can feel safe leaving their boyfriends with natella for a while. they know that she is not going to “steal” them. natella believes that a man sometimes should sacrifice his life for a woman. if a guy lives in a messy apartment – she would help him clean. being a housewife for her is boring. at an earlier state her desire was to become a man, but later became proud of being a woman. when she came on this tv-show, she intuitively felt that she was going to find her real love there. and who knows, maybe she did. this is all i know about her. this is everything i could get to know from her. there is something flower’ish about her curly hair and her curly nose. she is intelligent and wealthy. good-mannered and cool. but being a “good” girl would be too boring for her. she has a very cold mind and a wrong taste in man. at least, i think so. that makes her sad and melancholic every day. a man can never know when she leaves. or would she forever? her eyes are dark and they shine. she can have some fun with me today if i could only give a try. she would rather prefer to sit in silence in her screaming room. or go for a long walk in the dark, lonely woods. she would never change herself because of a man. she would never try to change a man. the more i look at the screenshots of her, the more i get into her hazel eyes. what are her fears? what was her childhood like? does she has a dark secret? what is she hiding? some old, dark secret which she keeps silent. she would never tell it to anyone, especially her man. it has an enormous power. a tremendous destruction. i am afraid of this secret and do not want to know it anymore. she is a bird in a cage = a fish in an aquarium. the trees are her only friends. nature is her shelter. she is a mysterious life observer and knows more about you than herself. her mind is chaotic and layered – ancient and shamanistic powers lead it. her name is natella. she comes from georgia. there, where she comes from, the black sea meets the caucasus mountains. there, the bright mountains and valleys are shared with god. there, bloody red is a colour of a new beginning. there, people are passionate types with strong feelings of devotion gained from the powerful sun. there, people are vulnerable as pure blue shadow and they know how to control and hide it. there, people are warriors of their solitude. there, you can fly in the savory air or levitate in the wisdom of great waters. there, you can be free and caught in the same time. niko pirosmani. he has the most sensitive ways of describing georgians in his great paintings. religious pale faces, indigo skies, women in shawls, men in long dresses, tired and resting pets, cold gestures and poses, almost invisible yellow seeds of sun and red scars of routine. that is were i took my colours for her. complexity of circles and dots on the buds of the ‘caucasian rhododendron’. its invisible pink. grotesque and strong lines of the ‘iris iberica‘. scaring wisdom of the ‘haeckel chiroptera‘. endless legends about the mountains growing out of the black sea. extravagancy and chic of the ‘caucasian pheasant‘. colourful elegancy of the ‘rainbow trout‘. that is were i took my shapes and tactility of her. i collected everything natural i could find around me and began to recreate her in the form of a headpiece. i wanted to get inside of her skin, inside of her world, inside of her story when i put it on me/someone. i was looking for authenticity in the reconstructions of traditional georgian shawls. i was making garments and textiles out of horse hair, pine cones and branches. in parallel with material try-outs and sketches i was searching for the way of making a kind of an armor for my heroine. because she is an absolute warrior. but she also loves to hide – her feeling, emotions, thoughts. she needs to preserve and cultivate everything inside of her. i learned how to make a textile piece out of dish washing metal sponges. 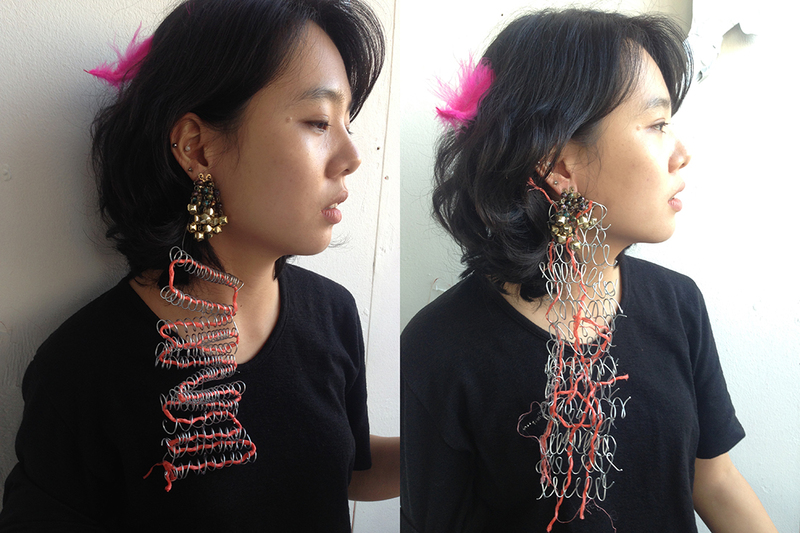 i also combined synthetic threads with wire in my glasses and earrings. i started to construct my piece by adding more and more layers. all the time it was not enough and soon i understood that one piece gets too complex and that i should continue my project in creating two separate concepts/designs. so, my idea does not get too messy. the black sea. how can i show her connection and devotion to the endlessness and power of the black sea? she is my aphrodite – feminine and warlike at the same time. she i free and bubbly as foam. she is fast and moving as the stream. she is dexterous as a fish. she sometimes gets caught in the fisherman nets. and than she becomes the most precious thing in their old grumpy hands. 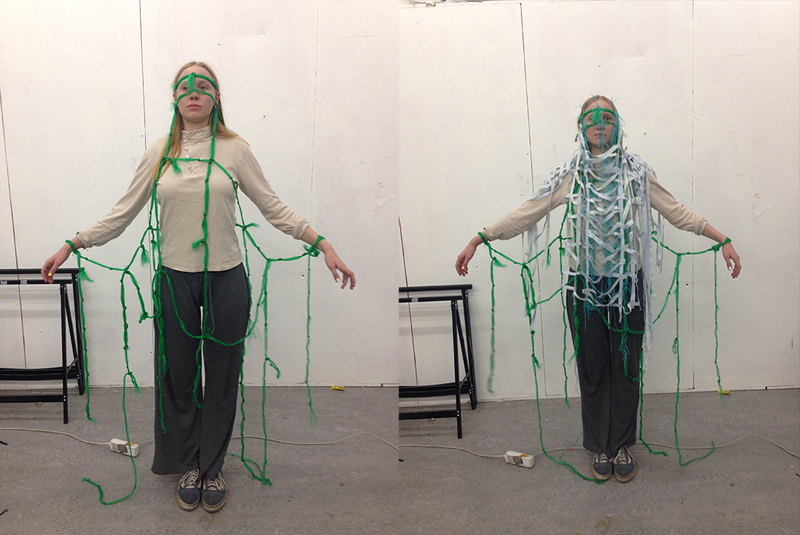 in total, the finished piece consists of four garments which get attached on the top of each other. 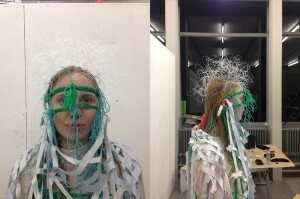 the first layer is an entangled pattern which reminds of green sea weed usually thrown up on the coasts. it is always very tricky not to get in it while you swim. it is always cold and slimy. the second layer is more generous and floaty which refers to the sea waves – enormously strong and soft. 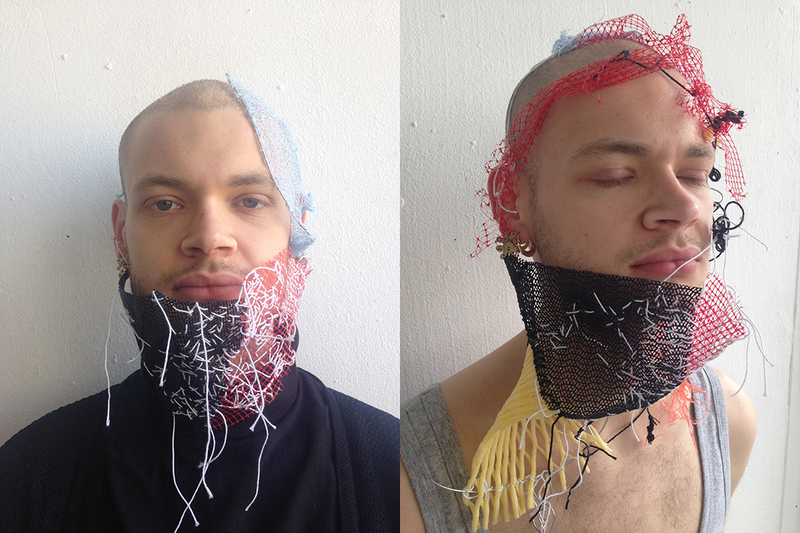 the third layer which is attached on the ears symbolizes fishnets. and the last top layer positions on the head and returns to the foam which always floats on the top of the water. after finishing this piece i felt like i have something more to say and investigate in my heroines world and personality. somehow she was still unreachable. i could not forget her and not let her go. i was still not satisfied with the result and wanted to dig more and deeper. the caucasus. in the following step my passion for not organic materials was increasingly bigger and broader. i payed more attention to the choice of colours and creation of the facial-related garment. i went back to the transparent volumes and traditional georgian head-wear and masks. the new look was totally dedicated to earth, mountains and the caucasus. i combined the transparency of woods, plants and branches with solid shape and colour of the naked body. formless threads and tactility of checkered, dotted materials. my main focus was on lines, stripes and their intervention. 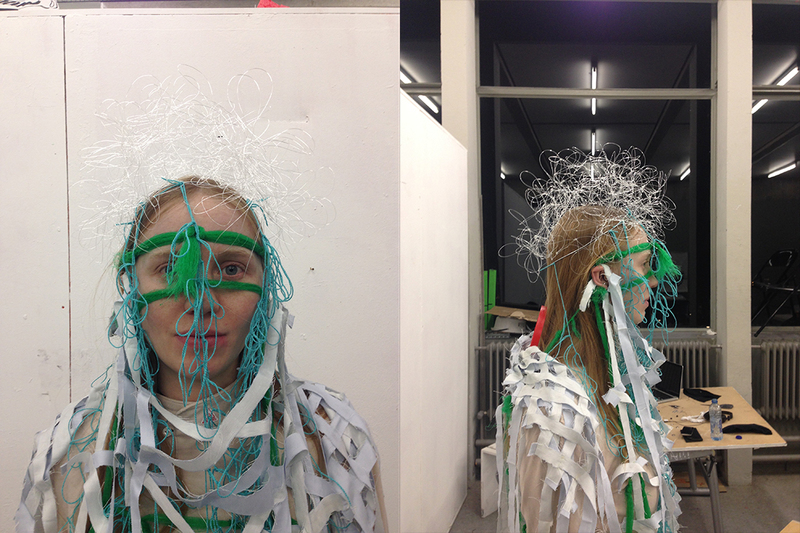 i also went deeper into the possibilities of wearing/holding the piece on the body. some garments can be hold only between squeezed teeth – some are clamped between the body and the arm.